Bootstrap has been developed in such a way that it can work with all of the latest versions of the Google Chrome, Firefox, Internet Explorer, Opera, and Safari browsers. With very simple operating options and customized builds of Bootstrap’s CSS and JS it becomes very easy to operate. Bootstrap has been securing the best quality from the start of its journey. From version 2.0, it supports responsive web design by which the adjustment of the layout of a web page occurs dynamically. This is how it is compatible with desktop, tablet, mobile phone devices. In the version 3.0, Bootstrap counts the fast improvements of mobile phones and decides to start a mobile-first designing which has been very popular now-a-days. Releasing some very popular releases of version 3.0 this time Bootstrap are thinking about more features for more flexibility and completeness. This thinking results its brand new version 4.0 alpha release where Sass, a popular CSS preprocessor and Flexbox have been supported. Now Bootstrap is faster than before by using Sass. Finally, Bootstrap is sailing proudly on the sea of competition ensuring common HTML elements, dozens of custom HTML and CSS components, and awesome jQuery plugins. Now Bootstrap is making its own way by encouraging developers to participate in the project on GitHub to make their contributions. 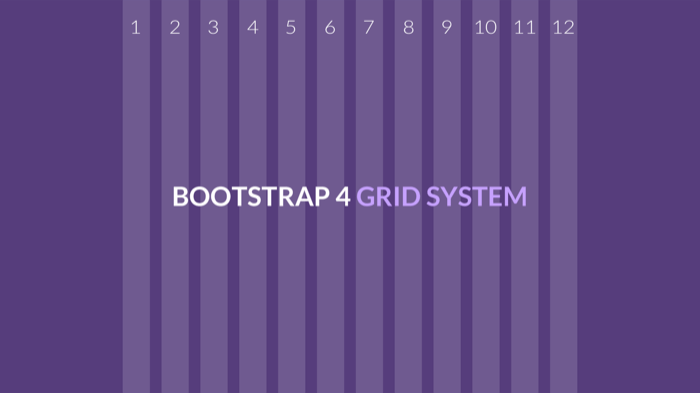 We can expect more beautiful releases and versions for these developing steps of Bootstrap. 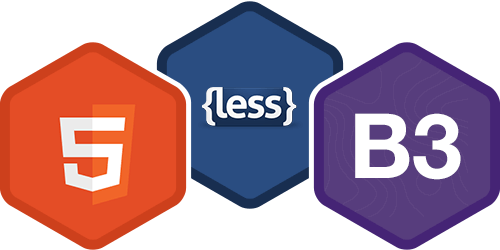 A series of Less Stylesheets is available in the previous versions of Bootstrap which is called Bootstrap Less. Each Bootstrap Less consists of various components stylesheets of the toolkit. This variety gives a freedom to choose suitable Bootstrap files with essential components depending on the project. Not only that a central configuration stylesheet is available for some possible adjustments and for more changes one can use Less declarations. There are some more advantages of Less Stylesheets. Less Stylesheet language contains variables, functions and operators, nested selectors, as well as so-called mixins. But from Version 4 bootstrap change less to sass. I feel it’s safe to say, if you’re working on front-end web technologies and you touch CSS on a regular basis, now is the time to learn Sass. It’s almost inevitable that Sass code and compilers will be part of some future project. Many times developers are looking for more flexibility which is available to all versions of Bootstrap while version 2.0 has a special customize option in the documentation. Bootstrap 4.0 guarantees more accessibility where Sass has been used instead of Less for stylesheets. Standard Grid system and responsive design has been produced through a 1170 pixel wide grid layout. A variable-width layout is also available for the developers and the toolkit provides four variations for different resolutions and types of devices like high and low resolution PCs, tablets, mobiles with portrait or landscape screen adjustability etc. To give a modern and uniform look of formatting text, tables and form elements Bootstrap provides a set of stylesheets that contains basic style definitions for all key HTML components. Bootstrap provides other frequently used interface elements also in addition to the regular HTML elements. These components are implemented as CSS classes which must be applied to certain HTML elements in a page. Moved from Less to Sass. Bootstrap now compiles faster than ever and this is how Bootstrap joins an increasingly large community of Sass developers. Improved grid system. A new grid tier has been added to better target mobile devices and completely overhauled our semantic mixins. Opt-in flexbox support is here. The future is now switch a boolean variable and recompile your CSS to take advantage of a flexbox-based grid system and components. Consolidated all our HTML resets into a new module, Reboot. Reboot steps in where Normalize.css stops, giving you more opinionated resets like box-sizing: border-box, margin tweaks, and more all in a single Sass file. Brand new customization options. Instead of relegating style embellishments like gradients, transitions, shadows, and more to a separate stylesheet like v3, we’ve moved all those options into Sass variables. Want default transitions on everything or to disable rounded corners? Simply update a variable and recompile. Dropped IE8 support and moved to rem and em units. Dropping support for IE8 means we can take advantage of the best parts of CSS without being held back with CSS hacks or fallbacks. Pixels have been swapped for rems and ems where appropriate to make responsive typography and component sizing even easier. If you need IE8 support, keep using Bootstrap 3. Improved auto-placement of tooltips and popovers thanks to the help of a library called Tether. Improved documentation. We rewrote it all in Markdown and added a few handy plugins to streamline examples and code snippets to make working with our docs way easier. Improved search is also on its way. And tons more! Custom form controls, margin and padding classes, new utility classes, and more have also been included.